Excellent for sketches, notes or diaries. 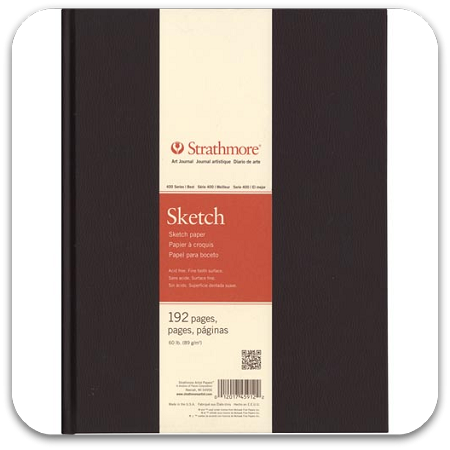 These sketch books contain Strathmore's 400 series, 60lb., acid-free sketching paper and are made with a durable hand-stitched binder. Comes in an attractive brown cover. Ninety-six sheets (192 pages) per book.